Expedia has some amazing Taguig package deals Combining your bookings is one of the best ways to save time and money — and get your adventure off to a flying start. If you secure a package deal on Expedia, you can save as much as C$590*. Our enormous international database features more than 321,000 properties worldwide and 400 partner airlines. With such a great range of options, creating your dream vacation will be a piece of cake! You never have to worry about altering your family's plans, as we don't charge additional cancellation fees for almost all of our bookings. We've got all the sizzling hot sightseeing tips for your trip to Taguig. Grab your organizer and get ready to start filling your itinerary. Shampoo, conditioner and body wash are just a few of the supplies you need when traveling. But — if you forget to pack your toiletries, you should find what you need at Bonifacio High Street. Adventurers have heaps of options in and around this destination. Market Market Mall is the perfect place to go if your stomach begins to growl. Just follow the mouthwatering aromas to the food court and you'll be wolfing down a meal in no time! Still got time to spare? If you've got an inquiring mind, take a trip to Philippine Veterans Museum. You never know what you will learn here! Having somewhere comfortable to rest your head on your cheap vacation or luxury getaway makes all the difference. Fortunately, you'll find 2 properties in Taguig. Book right away and choose the perfect one for you! Our recommendations are the MaxStays - Max Pavilion @ The Venice Residences (12G Alessandro Tower) and the MaxStays - Max Style @ The Venice Residences (Belini Tower, The Venice Residences). Have a look into the facilities and amenities and then make your choice. Flying into Ninoy Aquino International Airport (MNL) is the easiest choice for many visitors. Once the wheels hit the tarmac, you'll be only 4 miles (6 km) from Taguig. 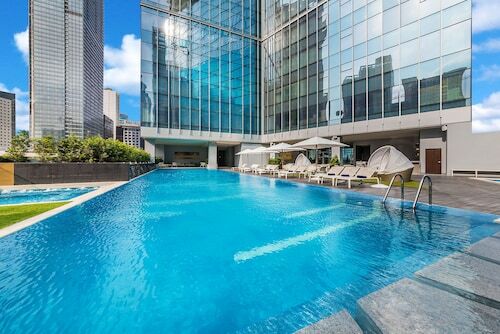 This family-friendly Taguig hotel is located near the airport, within a 10-minute walk of Fort Bonifacio and St Luke's Medical Center Global City. Bonifacio High Street and Ayala Malls: Market! Market! are also within 15 minutes. Buendia Station is 25 minutes by foot and Guadalupe Station is 30 minutes. 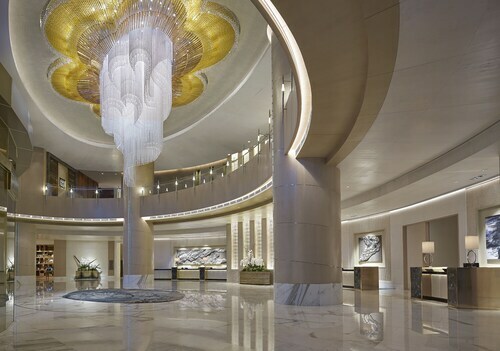 Situated in Taguig, this luxury hotel is within a 15-minute walk of Fort Bonifacio, St Luke's Medical Center Global City, and Bonifacio High Street. 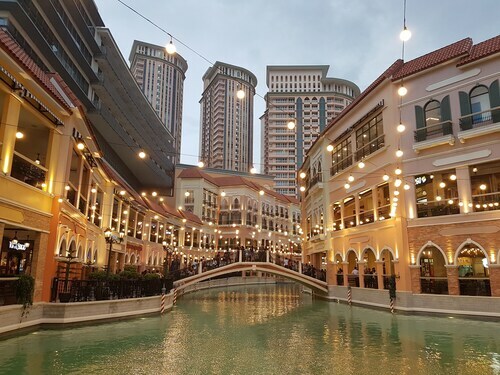 Venice Grand Canal Mall and Ayala Malls: Market! Market! are also within 3 mi (5 km). Guadalupe Station is 27 minutes by foot. This family-friendly Taguig hotel is located near the airport, within a 5-minute walk of Fort Bonifacio, St Luke's Medical Center Global City, and Track 30th. Bonifacio High Street - Central Square and KidZania are also within 10 minutes. Buendia Station is 24 minutes by foot and Guadalupe Station is 30 minutes. This family-friendly Taguig aparthotel is located in the business district, just steps from Philippines Stock Exchange and Fort Bonifacio. St Luke's Medical Center Global City and Bonifacio High Street are also within 10 minutes. Buendia Station is 27 minutes by foot. 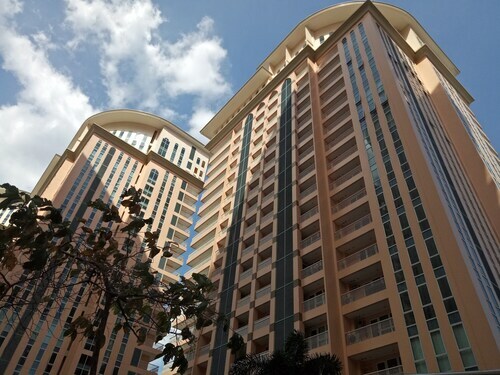 This family-friendly Taguig condo building is located near the airport, within a 10-minute walk of Venice Grand Canal Mall and Fort Bonifacio. Ayala Malls: Market! Market! and Bonifacio High Street are also within 2 mi (3 km). 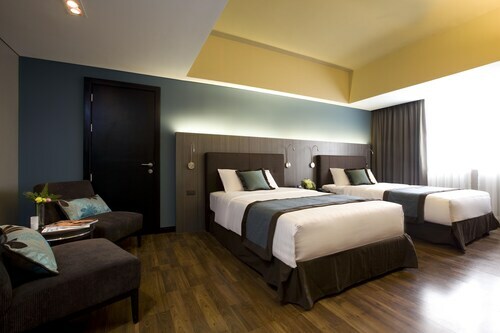 Situated in Taguig, this hotel is steps from Bonifacio High Street and Fort Bonifacio. Ayala Malls: Market! Market! and St Luke's Medical Center Global City are also within 15 minutes. 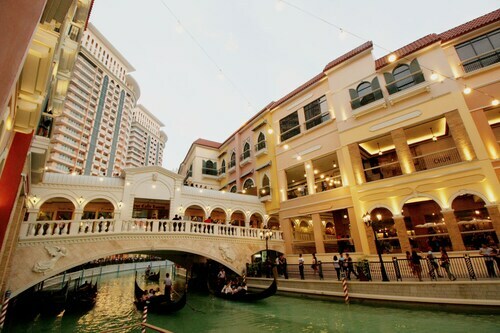 Situated in a shopping district, this hotel is within a 10-minute walk of Venice Grand Canal Mall and Fort Bonifacio. Ayala Malls: Market! Market! and Bonifacio High Street are also within 2 mi (3 km). 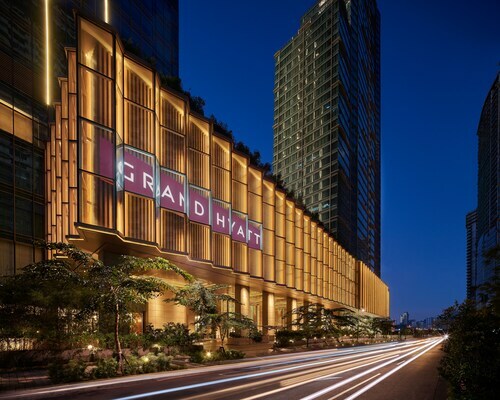 Situated in Taguig, this aparthotel is within a 10-minute walk of Venice Grand Canal Mall and Fort Bonifacio. Ayala Malls: Market! Market! and Bonifacio High Street are also within 2 mi (3 km). Fri., 22 Nov. - Mon., 30 Dec. Tue., 7 Jan. - Wed., 5 Feb.